Compatibility: Requires iOS 9.3 or later. Compatible with iPhone, iPad, and iPod touch. Get Moving is a very easy to use activity tracker that will keep track of everything from the number of steps you take to informing you whenever you have been inactive for too long. If you have an iPhone 5s or newer then you have no excuse to be idle. Move around, go for a walk, hit the treadmill or run around the city. Get Moving knows how active you are without you having to tell it anything. To motivate you even further, you will be able to view how many hours you’ve been active during the day, how many steps you have taken and the distance you have moved. Try to walk 10000 steps a day or set your own daily goals. And don’t forget to check the number of calories you have burned before hitting that snack. 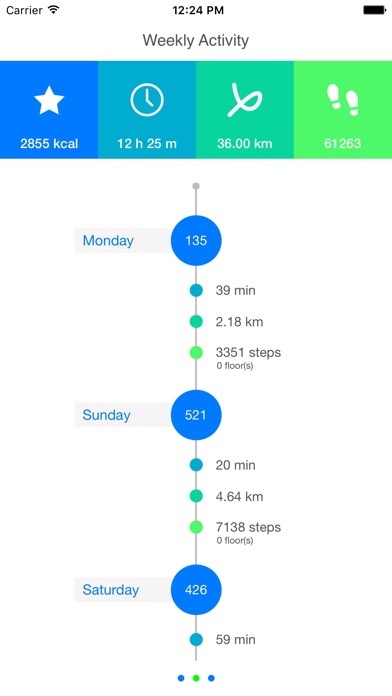 By integrating with the Health App, Get Moving is able to increase the accuracy of its calculations. 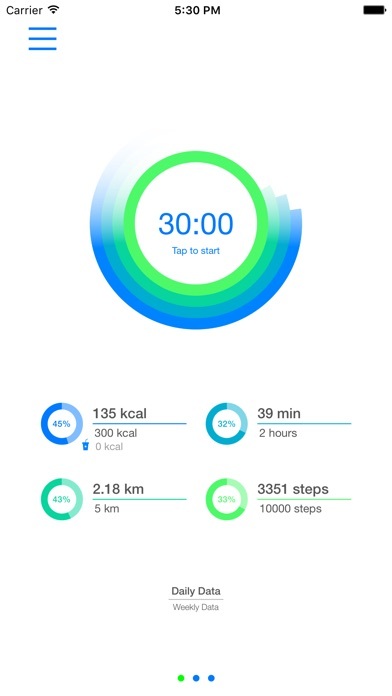 Get Moving will also read dietary calories from the Health App to inform you about the difference between active burned calories and consumed calories if such data has been provided. 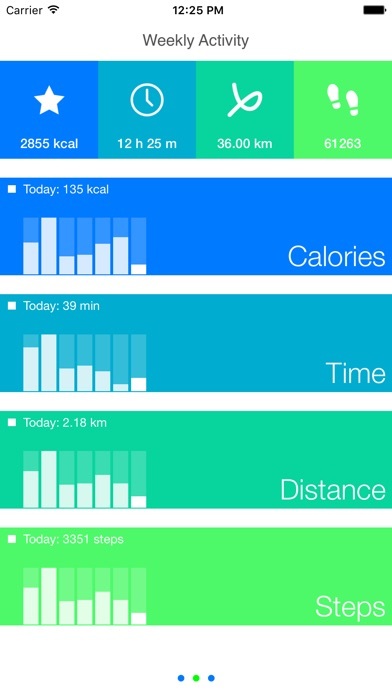 To start Get Moving inactivity tracking simply specify a time interval and tap the clock. You decide if you want to repeat intervals or just be reminded once, Get Moving takes care of the rest. To turn off the timer, simply tap the clock again. Using the location manager Get Moving also presents you with statistics to help you keep track of the places where you have been inactive during the day and for how long. Get Moving is smart enough to automatically detect when you are idle or on the move. If you start moving, the timer will stop after a few seconds and when you sit down again a new time interval will be set for you. There is no need to specify how long a break should be Get Moving will adjust to what you are doing. 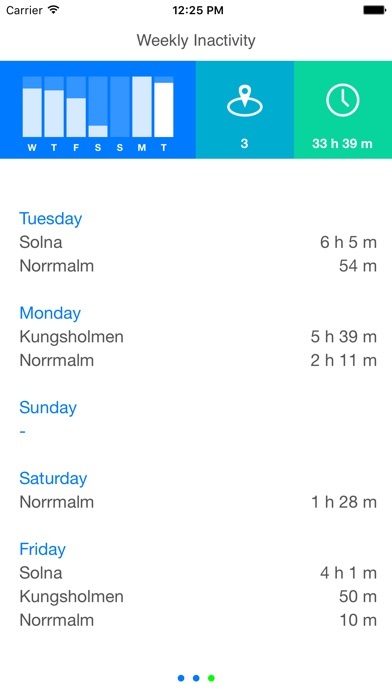 Check the 7 day stats to see how you have improved throughout the week. Research shows that sitting for prolonged periods of time can have a real negative impact on your health. Proper ergonomics and regular breaks are really important if you want to avoid RSI. You can start out by taking a 5 minute break at least once an hour. 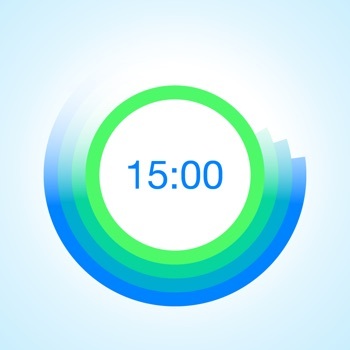 Get Moving will remind you to get up and move, just set the timer and get moving when you hear the sound. Please don't hesitate to contact us ([email protected]) if you have any questions.